The Knot's first COUTURE: Las Vegas Bridal Market, is rapidly approaching, set for downtown Las Vegas at World Market Center Pavilion I from August 27th through August 29th. Show hours are 10 - 7 on Sunday and Monday and 10 - 6 on Tuesday. 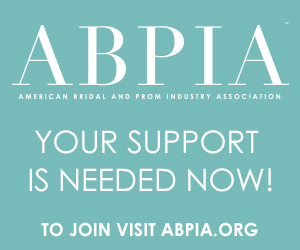 The Las Vegas show will connect more than 150 top bridal collections and more than a thousand retail buyers from the West Coast and beyond for a first look at forthcoming collections and, ultimately, providing brides with the most current bridal fashions all over the country. Buyers can shop top lines and learn from renowned industry expert and salon trainer, Wendy Rivera (“Do You Speak Bride?”), during seminars held from 9 - 10 am Monday and Tuesday. Attend the always festive and fun Knot Party at The W pool for cocktails and hors d'oeuvres on Sunday night. During show hours, The Knot lounge, centrally located on the show floor, offers a coffee bar, lite bites and a place to relax. And shuttle service available to and from The W, The Bellagio, SLS Las Vegas and The Wynn hotels. 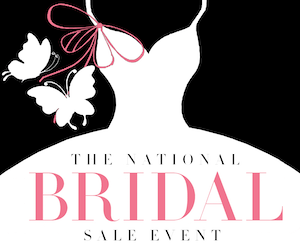 Exhibitors include Maggie Sottero, Allure Bridals, Mori Lee, Mon Cheri Bridals, Casablanca Bridal, JLM Couture, Jovani, Blush Prom, Justin Alexander, Jasmine, Moonlight Bridal, Azul by Liancarlo, Enzoani, Kenneth Winston, Calla Blanche, House of Wu, Bonny Bridal, Ashley & Justin, Chic Nostalgia, Eddy K, Badgley Mischka Bridal, Alfred Angelo, Venus, Rachel Allen, Modeca, among many others. For more information, visit: www.coutureshow.com or contact Susan Cain, Director of Couture, at scain@xogrp.com or Brett Olsen, Sales Manager, at bolsen@xogrp.com.